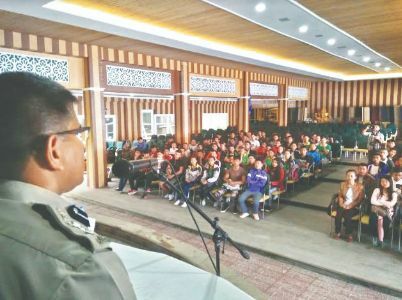 Darjeeling: As a part of the community policing development programme by the State Government, the Darjeeling Police has started a free coaching and training camp for aspirants of police and army jobs. Incidentally, a large section of the youths from Darjeeling aspire to join police, para-military and armed forces. The free coaching and training camp is aimed at seeing them sail through smoothly. The 100-day long camp is being held at Kanchenjunga Academy in Malidhura in Vah Tukvar Tea Estate area. Earlier, the area used to be Gorkha leader Bimal Gurung's stronghold and was the worst affected in the 2017 agitation that witnessed heavy violence, explosions coupled with a 104-day long bandh. This area had occupied the centre stage for quite sometime. Even the school, earlier run under the patronage of Gurung was steeped in controversy and kept under constant scanner of the security forces. "We will run a 100-day long coaching and training camp for police and army job aspirants. We have chosen this area as it was the worst hit during the agitation," stated Akhilesh Chaturvedi, Superintendent of Police, Darjeeling. As a part of the community policing development programme by the State Government, the Darjeeling Police has started a free coaching and training camp for aspirants of police and army jobs.